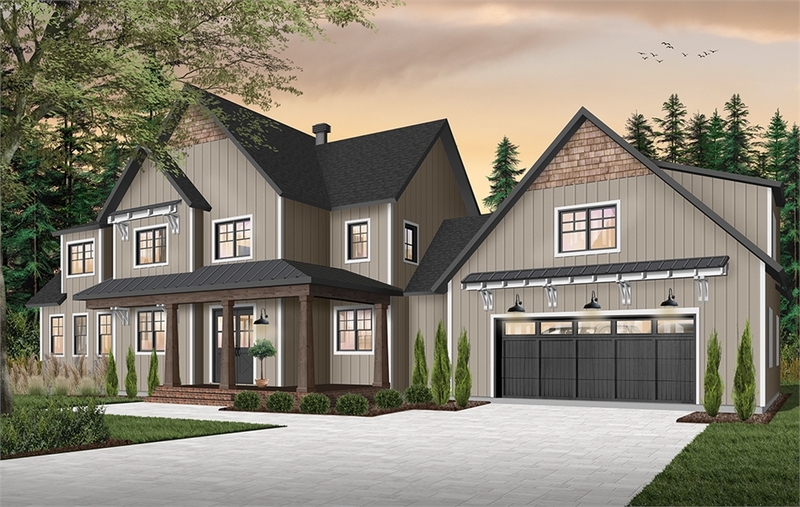 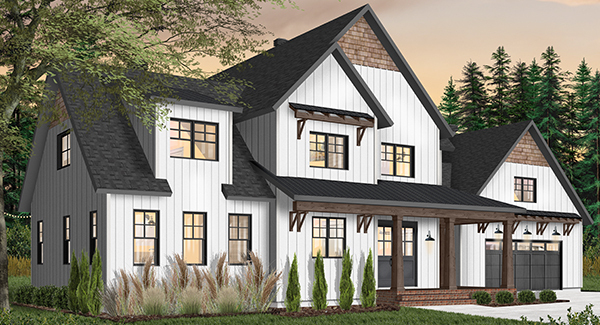 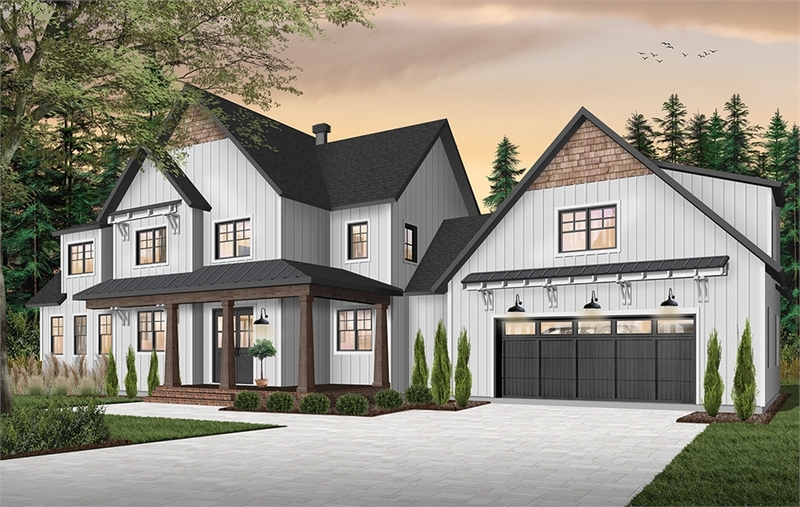 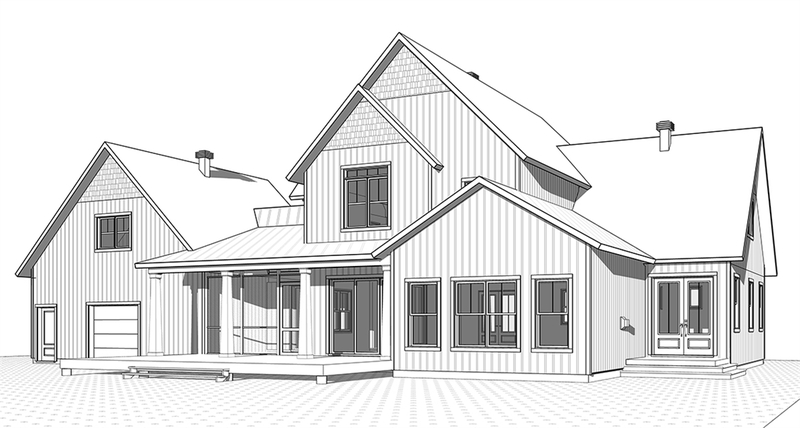 PLAN DESCRIPTION This 3,532 square foot Craftsman style farmhouse features 4 bedrooms, 3.5 baths and a two-car garage with a bonus space above it. 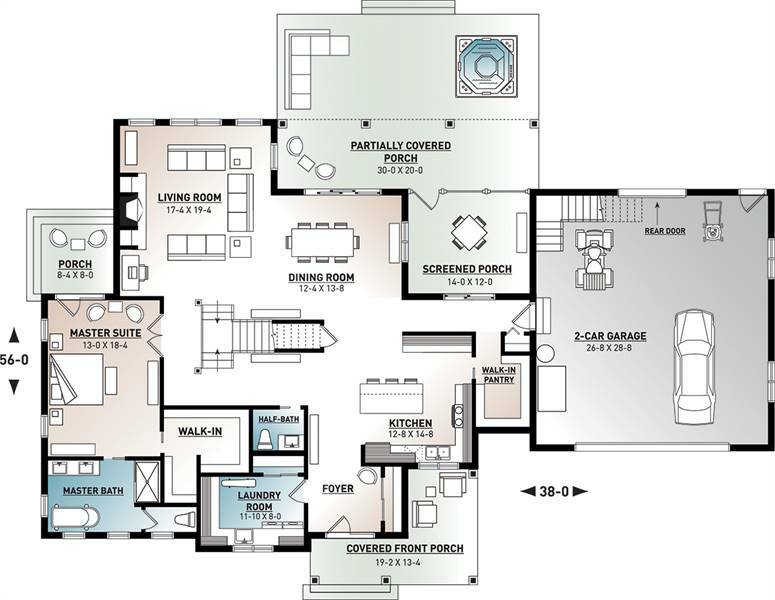 The L-shaped kitchen features a center worktop island with seating for 3 and a large walk-in pantry. 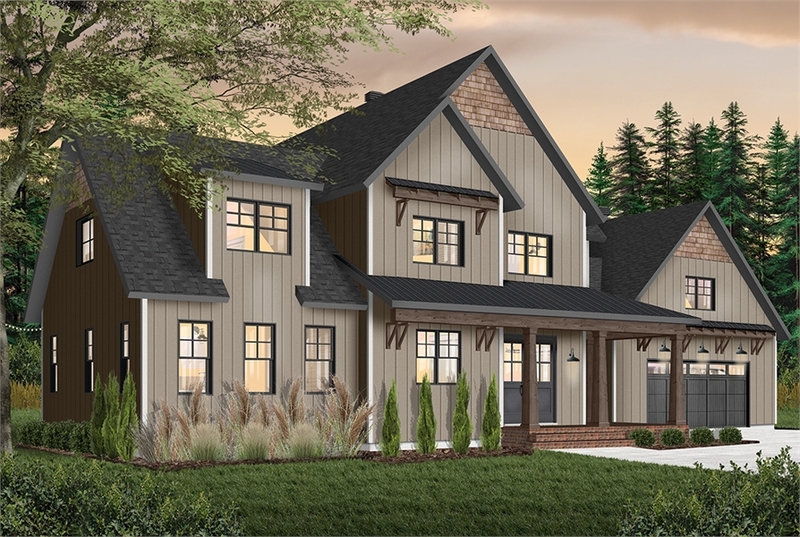 The master suite is luxurious, and is highlighted by a private porch. 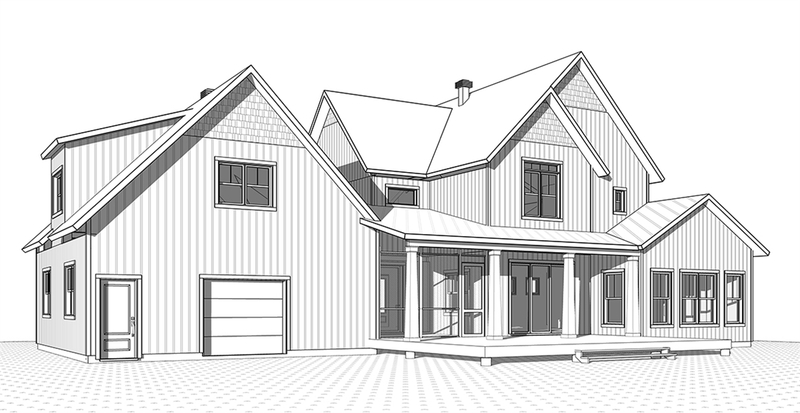 The master bath offers a separate shower, large garden tub, and dual vanities. 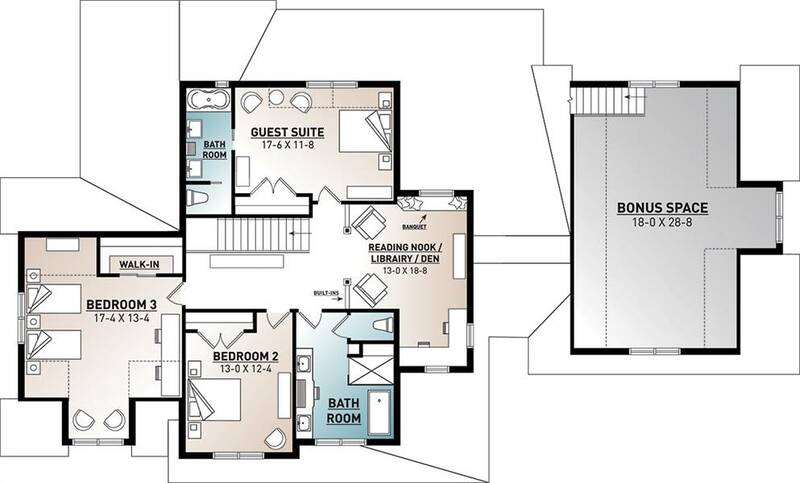 The 2 additional bedrooms, and generous guest suite are located on the second floor next to the cozy den.